Those who saw my facebook status earlier knew that I've got a big, fat bonus from hubby. I initially wanted to buy more clothes, especially since I am now fatter and can't fit into many of my clothes (clothes which I own since secondary school!). And please don't blame it on Shern now that his mummy is fatter. It is not the post-pregnancy fault. 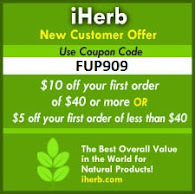 (I was back at my pre-pregnancy weight after a few mths giving birth). His mummy is getting fatter because she is eating non-stop and no thanks to my baking obsession as well. Sigh. I got myself a Birkenstock, thanks to a friend. Yes, the shoe that I've been eying since I went to Australia in 2003. I was a poor student then, so I could only watch some of my friends buying them (at that time, Birkenstock was not available in M'sia). Based on fourfeetnine, there are 2 types of women in this world: the shoes woman or the bags woman. I think I am both. The shoes woman AND the bags woman! So now not only I own 2 Radley bags, I now also own a pair of Birkenstock Gizeh in white. I drool just by looking at them. Been wearing them for sometime now. 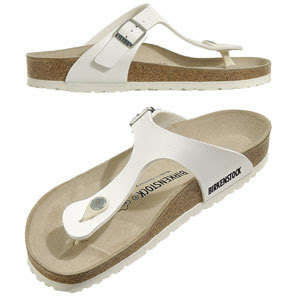 Birkenstock has been hailed as 'The Perfect Shoe' by many. Although initially you feel that they are a little stiff when you tried it on, it got more and more flexible the longer you wear it. I think I am in love with it! I like its contour footbed and its deep heel cup with natural padding. And I don't usually wear thong-style slippers, but surprisingly, this Gizeh does not hurt my toe. My toe wraps at it naturally and does not hurt me at all. I'm really surprised! If I don't wear my heels out, you are sure to spot me wearing my Birkenstock. I wear it casually everywhere. I'm lovin' it! OMG! i love the paris design!!! chiaoju....yesyes. u own birkenstocks too? jamie.....u have the paris design? both my sisters have the exact same pair as yours. You can buy Birkenstock at Gurney Plaza. 1st floor, old wing. Just get on the escalator from the centre atrium and u will see the store just in front of u.